Explorations into unmapped landscapes... Vidna Obmana is Europe's foremost practitioner of atmospheric and tribal ambient sounds, and already has nearly twenty CD releases to his credit. He is perhaps best known for his collaborations with Steve Roach, including "Cavern of Sirens," "Well of Souls," and "Ascension of Shadows," but solo works such as the recent "Crossing the Trail" and "River of Appearances" make a powerful and unique artistic statement. 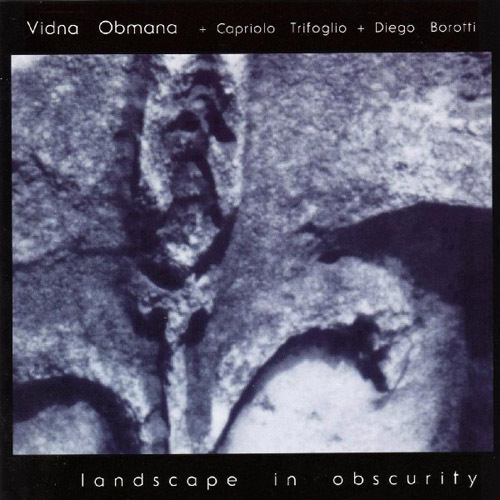 LANDSCAPE IN OBSCURITY, a long, exploratory driftscape, integrates spacious and atmospheric performances on flute and saxophone (by Italy's Capriolo Trifoglio and Diego Borotti) with the familiar sonic clouds of Vidna Obmana's own electronic and acoustic instrument mix. This is a journey of almost 70 minutes of luminous, airy ambience. Smooth, subtle and unobtrusive, yet at the same time sonically complex and illuminating, this CD works fantastically on "repeat" mode for hours on end. Wonderful for meditation or as background for sleep or creative work, this is one of Vidna Obmana's most minimal and truly "ambient" pieces in recent years. "His first release on the Hypnos label, Vidna Obmana's "Landscape in Obscurity" is an impressionistic study of isolation, memory and lament. 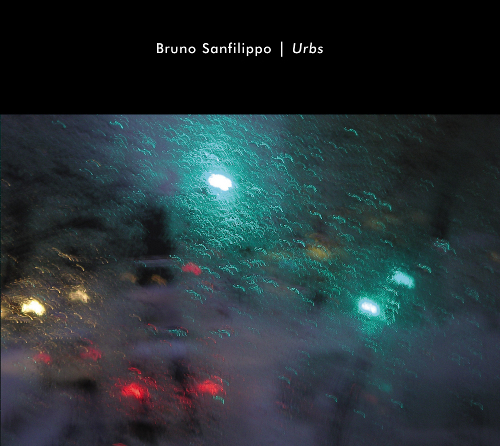 Somber saxophone leads and floating flute lines (by Italy's Caprio Trifoglio and Diego Borotti) mix with clouds of floating electronic ambience to evoke a feeling of isolation a cold city gives off in the dead of night." "Vidna Obmana - Belgian Dirk Serries to those in the know - is one of the most prolific artists on the ambient music scene, collaborating extensively with among others Steve Roach and, on this album, with two Italian musicians, Capriolo Trifoglio and Diego Borotti on flute and saxophone. The music is the result of the re-cycling of tapes made during a live performance ten years ago, in a process inspired by Vidna's work with Asmus Tietchens. The addition of carefully selected sections of the sax and flute performances adds a lighter and speedier element to the music, which for the first 20 minutes or so consists of huge, dark string orchestra-like chords. As the distant flutes appear the music lightens up slightly, with tiny, reverberant percussive noises also floating into the foreground. Obvious comparisons are with Steve Roach and to some extent with Brian Eno (certainly in the fact that the epic album consists of only one piece), althogh Obmana's textures are generally darker and more abstract than the majority of Eno's work. The applications of the music are far from obvious - clearly it could become an almost unchanging background piece played at low volume, but on closer listening there is a lot going on sonically, as well as plentiful movement around the stereo spectrum. But don't expect too much in the way of chordal or textural development, and certainly take Vidna's reference to a "jazzy fusion of classic and contemporary elements" on the sleeve with a pinch of salt - there's very little in the way of jazz here! Along with Vidna Obmana's album, the US-based Hypnos label seems to be releasing some interesting stuff in the ambient music field, with further releases from Richard Bone among others, and is well worth keeping an eye on for enthusiasts of this style. Rating: **** Four Stars - an excellent album of its kind." "Vidna Obmana has been prolific this year, collaborating with various musicians and continuing to reissue his early albums on the Memories Compiled series. The two titles here are recent collaborations, both revealing divergent and enterprising new directions. Landscape in Obscurity clocks in at 68'40 and is an extraordinarily innovative suite featuring synths, recycling, and tapes which include selected performances by flute and sax players Capriolo Trifoglio and Diego Borotti. 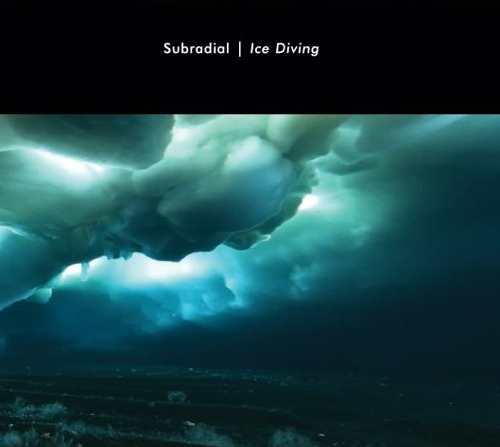 This is ambient music of fathomless depth, on the surface the atmospheres are melodic and uplifting, clouds of sound that waft through tunnels and chambers. Melding in with the waves of synth chords are the heavily treated sax and flute lines which meld flawlessly with the plush musical texture. While ambient music often has long chordal drifts, the presence of flute and sax lines intertwining amongst varying layers of the sound creates unearthly harmonies and tonal complexity that is unusual for the style. It is a great success, an album that lends itself to repeated listenings." "I'm not entirely sure when this record came out, early 1999, I'd say, or somewhere thereabouts, but it wasn't until recently that I discovered this fine recording. In the liner notes, Obmana talks about how this project came about, mentioning that the source music was recorded `almost 10 years ago' in a series of live performances with Italian musicians Capriola Trifolio and Diego Borotti and how the idea of recycling music brought this single-movement recording into existence. This is a very subtle and very vague recording, that Hypnos Ambient Minimalism. But there's something about the vagueness that really appeals to me, it's like the verse from Tao Te Ching that says when `nothing is done, nothing is left undone.' This record is the perfect marriage of the contemplative sonic tapestry and substantial musical composition. In my review of A Produce and M. Griffin's Altara I refer to the music as being on the most basic level of organized sound, this record has that same kind of quality, that point at which it becomes more than music, it becomes part of the ether. Obmana's strong production abilities really stand out on this record. His treatment of the Flute and Saxophone keep them in the sonic fabric just enough not to take away from the tapestry's slowly evolving sonic brilliance, but just enough to make use of Trifolio and Borotti's unique woodwind contributions. Another Hypnos recording that gets a great review from The Organization of Sound. I'm not familiar with Obmana's music enough to compare it to his other work, but I can say that Landscape In Obscurity is a stand-alone gem." "Listening to this long ambient album by Obmana is like gazing into a shimmering pool of water in a secluded shadowy garden. It is restful and quiet and it makes no demands on your tired mind. Usually I associate the Belgian Vidna Obmana with dreary hours of melancholy electronic droning but this piece by him has a much lighter, sweeter sound to it. Some of this is due to his use of flute and saxophone riffs, most of them electronically loop-repeated, by a pair of Italian avant-garde jazzmen, Capriolo Trifoglio and Diego Borotti. Another factor in this nicer sound is that Obmana has chosen to use a more “major” harmonic atmosphere rather than the “minor” or microtonal harmonies of his other works. Though there are a few accents of acoustic percussion, mostly delicate rattles, the greatest part of this long single piece (68 ½ minutes) is composed of long floating notes, which extend off into endless waves of echoes. As a big reverb fan, this is pleasing to me. Flute and sax notes percolate through the echoing mix in a kind of slow kaleidoscopic revolution. There is hardly any variation in volume, complexity, or harmonies; the piece retains the same character throughout its length. As with all “true” ambient music, this is not meant to be listened to with undivided attention. It is the analogy of incense or fragrance, meant to add quality, enjoyment, and mood to an environment rather than demanding a full commitment. As such, Landscape In Obscurity does its job of filling the air with its peaceful, comforting vibrations, a welcome sound in the leafless frozen months of winter." "Born out of the experimental sessions with Asmus Tietchens during their Motives for Recycling collaborative project, Landscape in Obscurity is a 68 minute, fully immersive transcendental piece which affords Vidna Obmana yet another opportunity to explore different shades of minimalist sound structures. Landscape in Obscurity fades in upon a tranquil haven of buoyant electronic and acoustic textures comparable to certain spiral atmospheres as initiated on The River of Appearance. 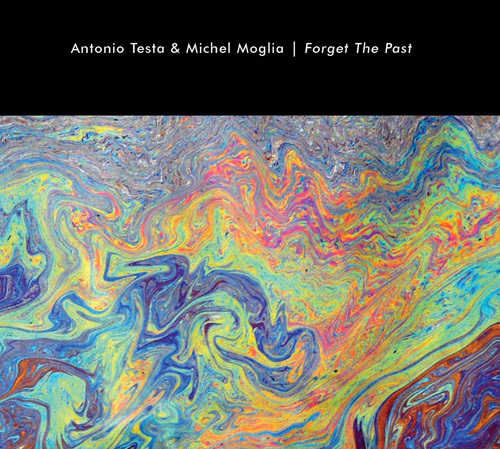 Around the fifteen minute point, the composition observes a considerable transition in moods as the flute and saxophone of guest musicians Capriolo Trifoglio and Diego Borotto move into the foreground. Having selected excerpts from a series of this duo's live performances, Vidna added some brush strokes of processing to merge with his multi-layered infrastructures. Perhaps the most compelling aspect of this union is the unusual sense of harmony this trio shares despite their choice of instruments. Drifting through the grey areas between the soothing and familiar, the surreal and uncharted, this project blurs the preconceived barriers between classical and contemporary. With another artistic triumph to his credit, Vidna Obmana further demonstrates his thorough insight into the language of amorphous sound." "This is a typical musical mobile from Vidna Obmana. Through the 68 minutes of the work drones from gongs, loops and tapes weave a crystalline warmth, a haunting atmosphere of drenched echoes. Occasional faster pulses break the drift, but overall the mood is relaxed and welcoming. Adding a new dimension, though, are the samples of Trifoglio and Borotti on sax and flute. These emerge from, and wander playfully over, Obmana's drones, offering snatches of melody or echoed chords. This extra texture offers a focus for listening, although sometimes the tone is perhaps a tad new agey, or Garbarek-ECMish, and a desire for some harsher edges surfaces. The relative stasis of the piece - there are no dramatic climaxes or changes of pace, although there are periods when components surge together - makes a long review impossible. 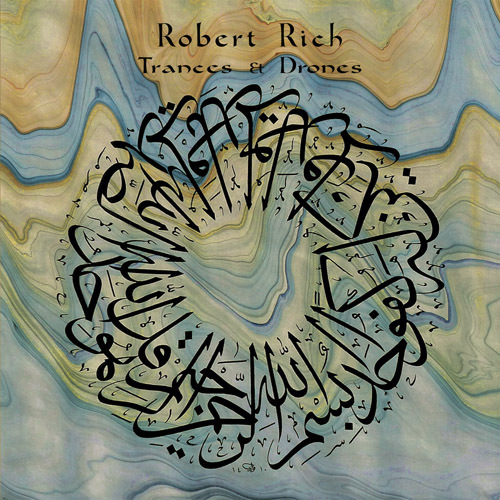 However, a short review doesn't mean a lack of respect and appreciation - this is a strong addition to drone ambience." "Dirk Serries, the synthesist behind Vidna Obmana, is known in the ambient world for his airy, looped soundscapes. Landscape in Obscurity puts a new twist on that formula with the addition of recycled recordings of improvisational collaborations between flautist Capriolo Trifoglio and saxophonist Diego Barotti. Until about 15 minutes into this 70-minute long-form piece, the sounds are fairly standard Vidna Obmana fare. At that point, Trifoglio and Barotti enter the scene. Their highly abstract lines of improvisation are at first barely recognizable as flute and saxophone, interplaying in an unusual and highly creative fashion. Serries weaves fragments of their work into his own palette of sounds so as to create a dreamy atmosphere. Serries' heavy reuse of certain phrases can make this album somewhat repetitive, but its interesting sounds and unobtrusiveness are a good recipe for casual listening. A willingness to explore new concepts in ambient sound makes this one of Vidna Obmana's best recent releases." "As a well-known collaborator of Steve Roach's, Vidna Obmana has established himself as a force in the atmospheric ambient musical realm. What some people might not realize is that Obmana has nearly twenty CDs to his credit. This 70 minute discourse on spaciousness and sonic subtlety is a perfect background piece for reading, writing, sleeping or thinking. Aptly described as a "driftscape" in the accompanying press release, Landscape Of Obscurity washes over you with gently caressing, but still complex, sonic waves that soothe the tired mind. In one long track, this minimalist ambient work creates an aural landscape that seeps into the mind and either lulls it into hyper-inactivity or stimulates it into creative motion. Vidna Obmana is a powerful solo artist, and Landscape Of Obscurity has established the new standard for atmospheric recordings." "Again a CD for which Vidna Obmana collaborates. This time with 2 Italians, Capriolo Trigoglio and Diego Borotti. The music itself is something that sounds like a speeding up. In the beginning it's something dark, something orchestral. But minute after minute it goes faster and the melodies becomes lighter, this because of the additions of the flute and sax. You can have a good comparison with Steve Roach (listen to Ascension of Shadows). This CD is again a star on the work of Vidna Obmana. Again he let hear the people, that he's a master in the atmosperic music, with simple pieces of melodies. "Landscape Of Obscurity is a 70 minute, single track excursion that straps one into the window seat of a low flying aircraft and glides over lush, unexplored sonic terrain. The terrain is sparse and captivating; if one were a cartographer, the map would be defined by low hills, vast valleys and smooth lakes. A jittery undercurrent moves the piece, but it never intrudes; it is a subdued sensation: the engine of impetus (be it driving the aircraft or simply just wind under fiberglass wings). Capriolo Trifoglio and Diego Borotti assist with flute and saxophone that, somehow, includes the sky into the equation, broad brush strokes across deep blue, crystalline skies. Vidna Obmana is a master of minimal atmospherics that blossom with beauty and wonder. Landscape Of Obscurity is basked in a luminous, pristine glow, easily one of my favorite releases from Vidna. On Hypnos, a label that specializes in music of a soothing, mentally stimulating (they sonically take you to landscapes within the mind) nature." "Vidna Obmana produces another fine collaboration, featuring C.Trifoglio and D.Boroti on flute and saxophone respectively. There are several portions of this long piece. While using his trademark ambient textures at the very beginning, comparable to his work on the Trilogy and Memories Compiled, Vidna later gives way to improvisations from Trifoglio and Boroti, creating multidimensional work that crosses the border of his past releases, maybe even enters a new teritory." "Landscapes In Obscurity is an almost 70 minute piece in which deep and oceanic soundscapes are once again central to the music of this Belgian composer. The deep tribal rhythms which sometimes appear in his work are not present in this purely panoramic piece. Vidna Obmana constructs a framework of complex textures and harmonic layers that expand in all directions, reaching peaks of high intensity or quiet phases that submerge to you in their nothingness. 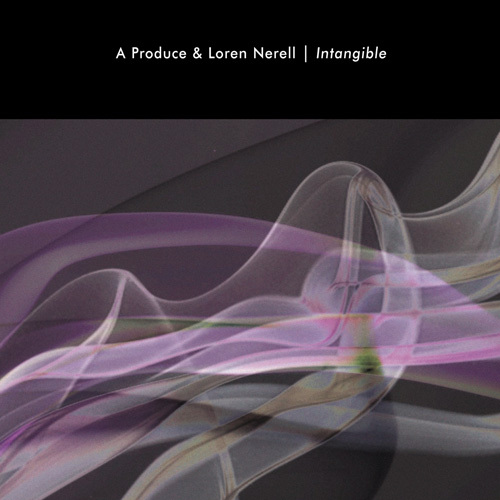 The involvement of Capriolo Trifoglio and Diego Borotti on flute and saxophone is merely incidental, except that they contribute a contemporary touch in the direction of Roedelius. Throughout, Landscapes In Obscurity is a work that surely illustrates Vidna Obmana's slow but certain journey toward the obscure. 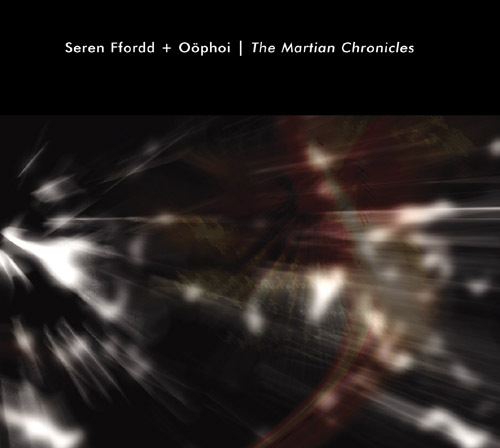 Never have soundscapes of this type reached such levels of depth and profundity." "Vidna Obmana, the world-renowned tribal ambient landscape pioneer, enters a familiar yet unique new world with his collaborative sixty-eight minute journey into the minimalist realm of the ambient quadrant. Well known for his extensive discography and respected collaborations with ambient guru Steve Roach, Obmana explores the alchemy that has inspired mankind from the beginning of their quest to learn the mysteries of the heavens and its relationship to the earth. Joining Obmana on this atmospheric sojourn into the unknown are Capriolo Trifoglio on flute and Diego Borotti on saxophone. With the addition of this dreamy instrumentation, the cycle comes full circle, as the listener is floated casually across a spectral plane where imagination and fear become intertwined. Though there is a secure, emotive feel throughout the mix, there exist the occasional dark passage which one passes over, adding to that momentary somber instance. Landscape in Obscurity confirms without a doubt that there exist anomalies and occurances in reality and nature that can be observed, but not necessarily explained or defined by orthodox reasoning. Let this album take you on that path of gentle obscurity, as moments of clarify reveal themselves at distinct points, creating a new realm of ambient consciousness." "In what appears to be a relatively short period of time, Mike Griffin's Hypnos label has established itself as what can only be described as an 'interesting' label to keep an eye and ear out for. Like Roger Richards and Extreme, Griffin strikes me as being particular and somewhat choosy about the electronic music acts he signs up, and is not averse to taking a chance on relatively unknown acts. Plus the fact that there is enough diversity within the Hypnos repertoire to keep it happening as an entity. For the moment as most people are aware the focus is on electronic music. In the past we have been introduced to artists like Saul Stokes with his barrage of home made analog synthesizers. Last year saw the release of Richard Bones' Spectral Ships, with its ghostly wanderers and eerie atmospheres. Then there's the textural guitar antics of David Tollefson, Jeff Greinke and much more. Now we have a release by Belgian dark atmospherics mood meister Dirk Serries aka Vidna Obmana. I say dark atmospherics because this is all I have ever heard him do. Having said that let me also say that this is completely different to anything I have heard him do and could possibly be in my top ten releases this year if I believed in that sort of thing. Obmana has succeeded in creating a beautiful and elegantly sustained ambient texture on this extended piece of music clocking in at under 69 minutes. The mood is ethereal and almost celestial throughout. The piece is pretty minimal, with lots of repeated and processed passages and I assume improvised. The piece itself resonates with a sense of joy. About the fifteen minute mark, with some subtle flute playing in the background and lots of echoing effects, Landscapes In Obscurity's musical aura has been built up and becomes an absolute joy to listen to with Capriolo Trifoglio and Diego Borotti weaving their respective instruments into and out of Obmana's electronic soundscape. It's very uplifting to listen to, some may even accuse him of having gone new age. As if Obmana really cares if they do. Two words sum up this release- deeply relaxing. Now that Atticus (my son) has joined us on terra firma, I seem to have changed what I listen to at home for his sake. While John Zorn's music may not be for him just yet, Obmana does the trick with putting him to sleep very quickly. Obmana has obviously spent a considerable amount of time in the studio fine tuning this project and the results show. This is a damn fine release and one Hypnos and Vidna Obmana should be very proud of. Exceptional." "Vidna Obmana - Belgian Dirk Serries to those in the know - is one of the most prolific artists on the ambient music scene, collaborating extensively with among others Steve Roach and, on this album, with two Italian musicians, Capriolo Trifoglio and Diego Borotti on flute and saxophone. The music is the result of the re-cycling of tapes made during a live performance ten years ago, in a process inspired by Vidna's work with Asmus Tietchens. The addition of carefully selected sections of the sax and flute performances adds a lighter and speedier element to the music, which for the first 20 minutes or so consists of huge, dark string orchestra-like chords. As the distant flutes appear the music lightens up slightly, with tiny, reverberant percussive noises also floating into the foreground. Obvious comparisons are with Steve Roach and to some extent with Brian Eno (certainly in the fact that the epic album consists of only one piece), althogh Obmana's textures are generally darker and more abstract than the majority of Eno's work. The applications of the music are far from obvious - clearly it could become an almost unchanging background piece played at low volume, but on closer listening there is a lot going on sonically, as well as plentiful movement around the stereo spectrum. But don't expect too much in the way of chordal or textural development, and certainly take Vidna's reference to a "jazzy fusion of classic and contemporary elements" on the sleeve with a pinch of salt - there's very little in the way of jazz here! 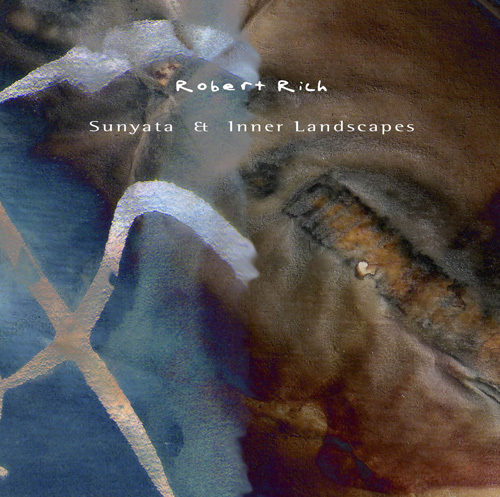 Along with Vidna Obmana's album, the US-based Hypnos label seems to be releasing some interesting stuff in the ambient music field, with further releases from Richard Bone among others, and is well worth keeping an eye on for enthusiasts of this style." "While the recognizable strains of flute and saxophone may waft through Vidna Obmana's misty electronics, the overall sound still undeniably belongs to the ambient Belgian. A single 68.5-minute piece, landscape in obscurity bears an appropriate enough title; as with most of Obmana's works, there seems to be a very organic flow, and this landscape is indeed obscured by misty musical cloudbanks. For the first 15 minutes of landscape in obscurity, the listener may bask in the warm rising vapors of Vidna Obmana's etheral synth flow, with no beats or textural embellishments of any sort. Smooth, lush layers intertwine in a pace that could only be described as reeeelaxed. Eventually Capriolo Trifoglio's distant flute meanderings become discernable; shorter, faster notes zip in and out of VO's atmospheric haze, though they seem to be coming from a hundred yards away. Similarly, Diego Borotti's sax runs are shadowed in a murky drift, but add a distinct counter-movement to Obmana's sweltering synthwaves. Sometimes heard are a few Obmana's signature sound effects - subtle drips and clicks which heighten the living landscape. But mostly what is heard are the processed and looped intermingling of synth, sax and flute. Like some strange and wonderful confluence of natural forces, all elements seems to continually flow forth as if from a musical geyser, its dissipating plume occasionally ruffled by a warm, gentle breeze. (Oh, and the flickering lights of the aurora borealis are dancing overhead, too!). Vidna Obmana refers to landscape in obscurity as a "jazzy fusion", which comparatively it is perhaps, but trust me, you won't be mistaking this for any jazz you've heard before. While I confess to being a bigger fan of his more textural, rhythmic, tribal works, landscape in obscurity garners a solid 8.1 for its bountiful fountain of unearthly delights. Chalk up another winner for the Hypnos label. " "The challenge of minimal drone music is to take a style that is, by definition, minimal and repetitive, and then to produce something that is unique. Vidna Obmana has succeeded beautifully in his latest release, an attempt to recreate the feel of some of his live performances of about ten years ago. Apparently, he had been working on the music that would become the basis for this CD for some time, but couldn't get it to sound the way he wanted. Then he discovered an Italian flautist and saxophone player. The surprising addition of these traditional instruments gave Obmana the inspiration he needed to complete his work. The CD consists of a single track, which evolves slowly over the 68½ minutes. The music is surreal and very relaxing. Mostly gone are the tribal elements found in some of Vidna Obmana's recent solo efforts and collaborations. This is soothing echoes and whirlpools of sound. If you like ambient music, do not be put off at all that the credits include flute and saxophone. Vidna Obmana used tapes those performances, selected excerpts from them, and added processing and effects. Mostly, there is a lot of reverb, so that it sounds like the flute and saxophone are being played in a distant cave. It gives the music a very dreamlike quality. Vidna's synthesizers carry the music initially, with the first predominant flute sounds not really noticeable until about fifteen minutes into it. Shortly after, the saxophone appears, even more distant than the flute. For the remainder of the music, the interplay between the saxophone, flute and synthesizers is beautifully balanced. As a result, though the mood is relaxed, the music is much more dynamic that typical ambient fare. Saxophone samples are used fairly extensively, but make no mistake, this is an ambient recording, not a jazz recording. The closest comparison I can think of, which isn't all that close, is a 4AD release from 1986 by Dif Juz, called Extractions, simply because they also used sax in a style of music where you wouldn't expect to find it, but it worked. At any rate, these instruments help to set apart Landscape in Obscurity as a distinctive ambient work. If you are an ambient music fan, you will enjoy it. 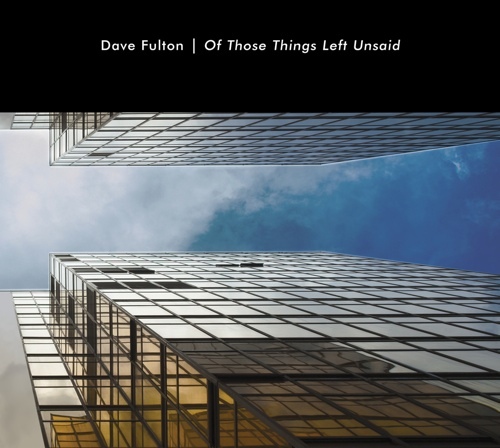 Even though it is an ambient recording, jazz aficionados may also want to check out this CD, to hear the interesting way these elements are used." "Remarkably enough, Landscape in Obscurity is Vidna Obmana´s first extended piece - over 68 minutes long. Continuing to develop as an artist with each new release, Landscape in Obscurity opens excruciatingly slowly as Vidna Obmana weaves a diaphanous tapestry of gentle synthetic and acoustic sound. After a quarter of an hour his collaborators - Italians Capriolo Trifoglio on flute and Diego Borotti on sax - introduce their strands into the weave. The overall effect is gentle and unintrusive but as with only the best ambient, awards ample dividends to the close listener, too. Another little masterpiece much more rewarding to listen to than spout prose about. Vidna Obmana´s release manifests a previously unimagined landscape. And that to me is what very accomplished ambient music is all about." "I'm not sure if I understand them, but the sleeve notes tell you the wherefores, whys and hows behind this album, and seem pretty relevant to the understanding of it. 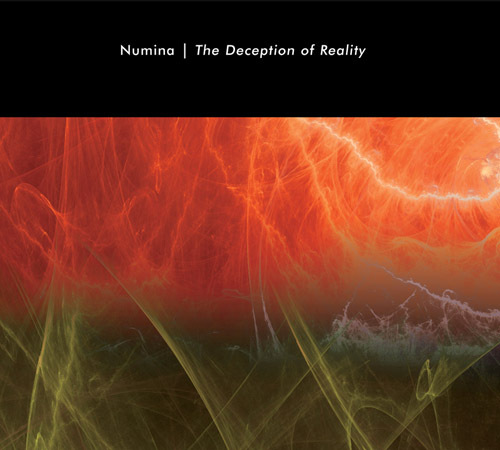 My perception is of one 68 minute track that is Obmana using the textures of electronic and acoustic instruments to create a veritable endless stream of cosmic electronic music with the synths, flutes and saxes all merging into one, but occasionally the higher register nature of the latter giving this music a new identity that you don't hear on other albums by this musician. The absence of rhythms will bring a smile to the face of many who rate him as one of the finest European exponents of space music, and this is yet another different take on the style that will reward the listeners and prove very long-lasting enjoyment." "...a single piece, built around a flute and a saxophone player. I must admit I found out half way through the CD, when I studied more closely the booklet. It a rich textured music, with lots of overtones, small events hapenning and the two windinstruments playing small circles. Dirk uses recordings of the two and processes them like they were synthesizers, they become one. That's one of the strong points of this piece: it's coherent and consistent sounding character. But it may be also a bit too sweet for me. When the sun pours into the house on a sunday morning, and I eat a nice load of bread, then this might be the right waking up music. But the other six days it is usually dark and I eat nothing because I'm in a hurry." "'Landscape in Obscurity' marks a return to the ideas Vidna Obmana explored on his earlier floating, percussion-less works (see "The Trilogy") but now there is a much more intense, full sound, as he takes cues from the drone zone of Steve Roach's longform pieces "The Dream Circle" and "Slow Heat." Ethereal in the extreme, this single piece incorporates an exceptionally beautiful melodic theme, which is delivered via 2 Italian musicians on flute and saxophone. (Yes, that's right, saxophone--but it's "sax in space", which has to be heard to be believed!) The two instruments weave elegantly through Obmana's organic electronics, never obtrusive or misplaced. The way the instrumentation is assembled and mixed is a triumph in itself. The real achievement though is the emotional punch this music packs. If you want a perfect example of emotional intensity in music, this one is essential." "Just received 'Landscape in Obscurity' from Hypnos. 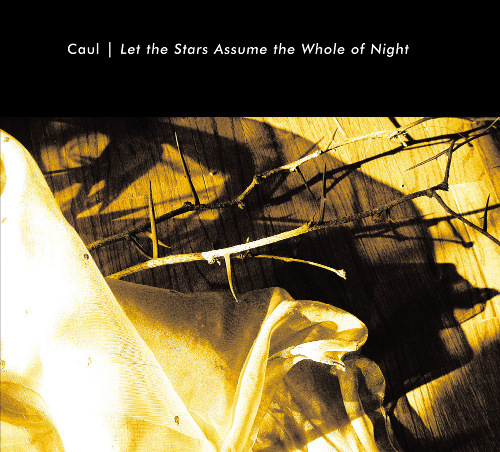 What a tranquil, poignant, stunningly beautiful ambient piece. The theme brings to mind Odin (or The Unknowable) from Reave's Wunjo, if its fair to make such a comparison. To be honest, I cringed a little at first when I saw that Obmana included a saxophone in this piece. How wrong I was. I've never heard a sax incorporated into music this way. Two thumbs way up for this one." "I haven't heard [Vidna Obmana's] Trilogy, but I love Landscape in Obscurity. Note it does have sampled saxophone and flute, but they are used quite effectively, in the background with lots of reverb. This is a beautiful track that definitely evolves over the 60+ minutes. It is excellent...."